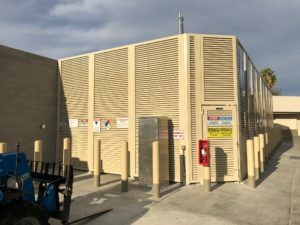 This is a PalmSHIELD louvered screen system protecting a Shell hydrogen refueling station in Citrus Heights, California. 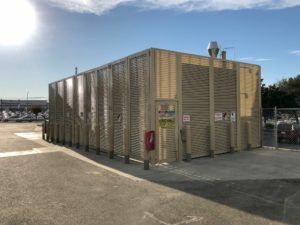 This hydrogen refueling station is a prototype and one of the many to come to California. These refueling stations are necessary in support of hydrogen as an alternate fuel source for automobiles. 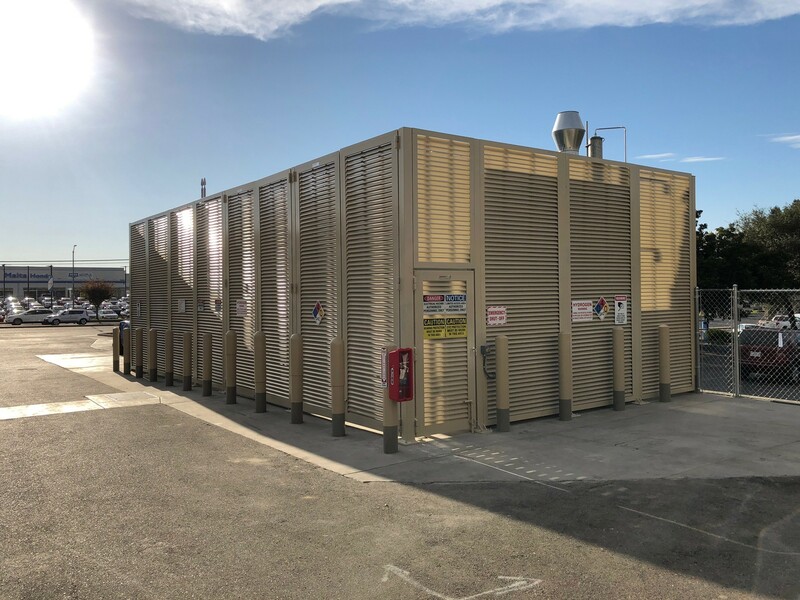 For this alternate energy source to be a mainstay in the American economy, a nationwide infrastructure of refueling stations must be constructed to be sure hydrogen fuel is readily available as Americans travel across the United States in their hydrogen fuel vehicles. PalmSHIELD is proud to be part of this endeavor in support of alternate fuel sources. 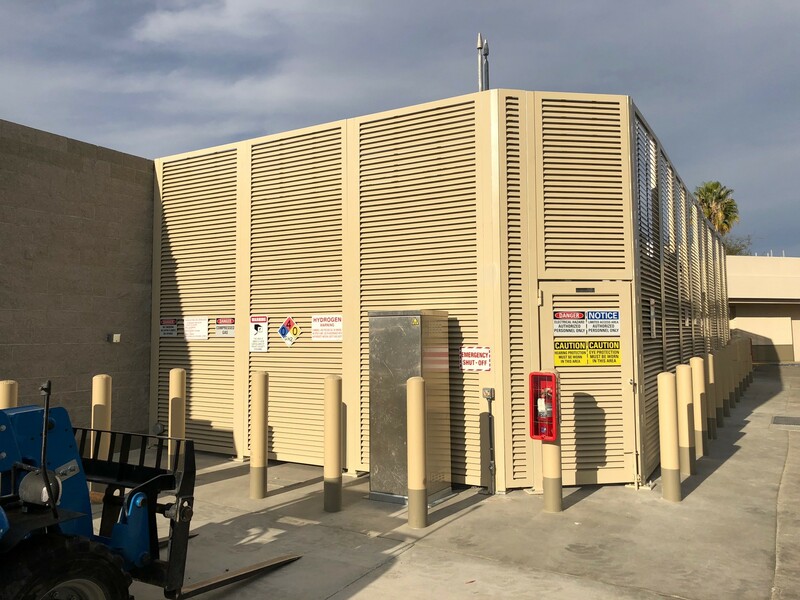 Our custom louvered panels made it possible for gap spacing to be kept to a minimum and heights of 12’ tall easily accomplished. 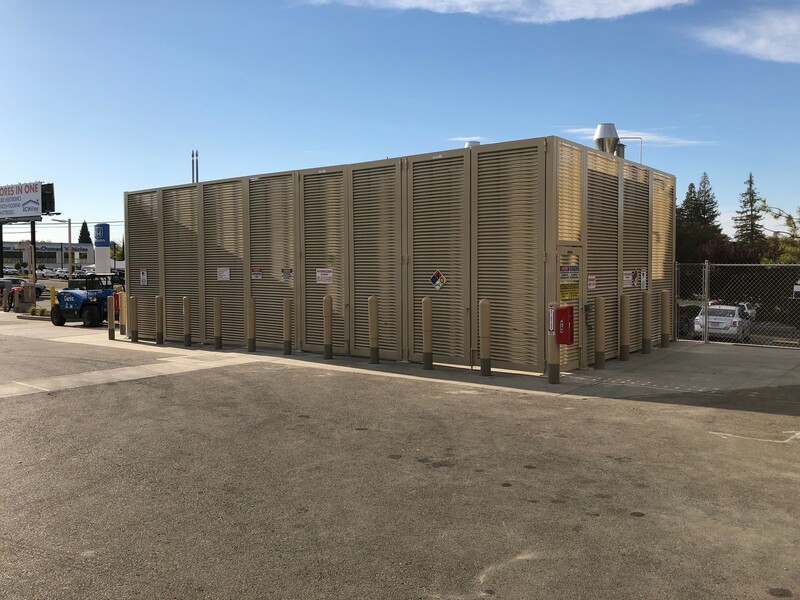 Our standalone horizontal panel system is a part fit for protecting the hydrogen fueling tanks and mechanical equipment. PalmSHIELD has the only fully framed louvered panel system. We represent the best in security and aesthetics. ← A Warm Welcome for American Access Company!